Set high on a cliff with sweeping views over Lake Erie, Graycliff stands as an architectural jewel awaiting your discovery. 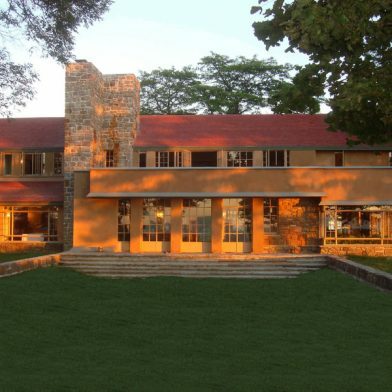 Built between 1926 and 1931, the Graycliff estate was designed by the renowned American architect Frank Lloyd Wright for Isabelle R. Martin and her husband, Larkin Company executive Darwin D. Martin. Graycliff served as the Martin summer home from 1927 to the mid-1940s. 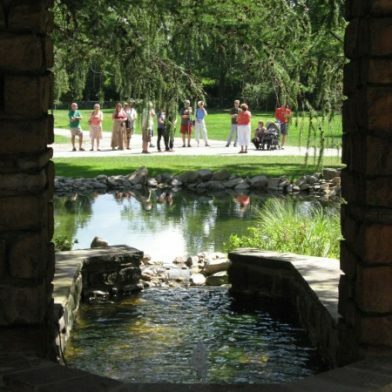 It is a complex of three buildings that includes the small Heat Hut, the 3,100 square-foot Foster House and the 5,800 square-foot Isabelle R. Martin House, all set amidst eight and a half acres of rolling lawns and gardens also designed by Wright. Broadly cantilevered balconies open the buildings to the soft lake air. On the Isabelle R. Martin House, the second floor floats over a terrace and garden below. Another balcony soars, suspended above a sunken garden. Yet a third balcony overlooks the lake itself, and the spray of Niagara Falls in the far distance. Ribbons of glass windows and doors admit the lake breezes. They also frame views of the lake seen – ingeniously – directly through the house itself.